Ah, the new year. A time for making resolutions to make yourself a better person, live a healthier life, and to be happier. And to completely forget about and ignore those resolutions a few weeks later. It’s a tradition unlike any other. 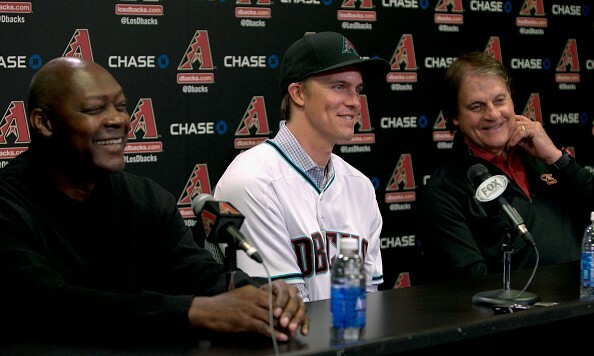 Arizona Diamondbacks: To wear a different hat/uniform combination every game until they run out of choices, which should be right around the middle of 2017. Atlanta Braves: To not ask for another new ballpark for at least five years. 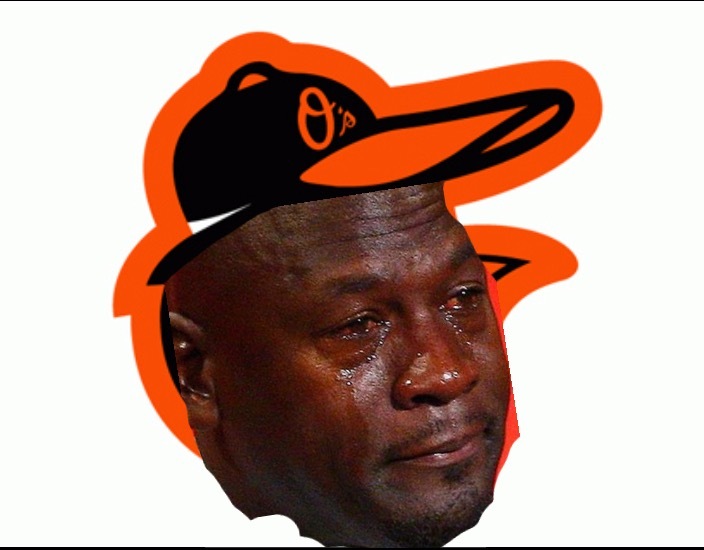 Baltimore Orioles: To change their logo from the smiling Oriole bird to the crying Jordan meme just for kicks. Boston Red Sox: To copy and paste all the old “we’re happy with Pablo Sandoval’s fitness” statements from the Giants onto paper with their own letterhead. Chicago Cubs: To not trust anyone over 30. Cincinnati Reds: To be really mean to Brandon Phillips in hopes that he finally accepts a trade before April. Cleveland Indians: To remind Cleveland fans that they could have it a lot worse by showing them Browns games. Colorado Rockies: To finally get Dinger a pair of pants. Detroit Tigers: To get the person who has to sew Verlander, Zimmerman, and Saltalamacchia onto the backs of their jerseys a really nice Christmas gift next year. 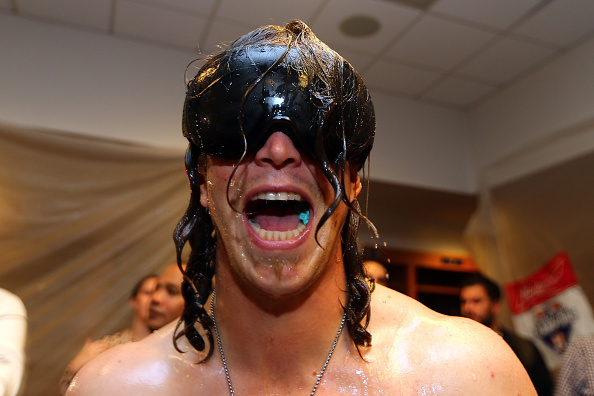 Houston Astros: To get back to the playoffs so we can all watch Colby Rasmus party again. Kansas City Royals: To figure out an excuse their fans will buy if the world champs let a productive fan favorite walk in free agency. Los Angeles Angels: To build Mike Scioscia a replica of the Iron Throne to sit on during front office meetings. Los Angeles Dodgers: To end their blatant bias against right handed pitchers and maybe start one or two this year. Miami Marlins: To get Barry Bonds and Marlins Man their own reality show where they travel the country together attending various sporting events. Milwaukee Brewers: To finally get Craig Counsell a passable fake ID. Minnesota Twins: To add “TC stands for Twin Cities” in small print under the logos on their caps so people will stop asking. 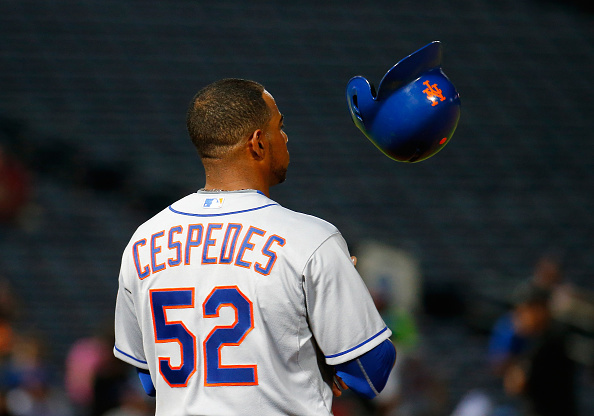 New York Mets: To figure out what to do with all of those extra Cespedes shirts they have sitting around. New York Yankees: To keep collecting power-armed relievers to the point where they don’t have to use any starting pitchers. Oakland A’s: To get every player on the roster a pair of boots for the inevitable sewage flood that will hit the clubhouse. Philadelphia Phillies: To hope the Eagles continue to be a train wreck so people don’t pay any attention to them while they’re rebuilding. Pittsburgh Pirates: To play Michael Morse more often so fans can sing along to “Take on Me” when he comes up to bat. St. Louis Cardinals: To figure out more passive-aggressive ways to tell Jason Heyward they’re mad at him for leaving. San Diego Padres: To continue to trot out the most boring uniforms in baseball while teasing their fans with flashes of their old brown color scheme. 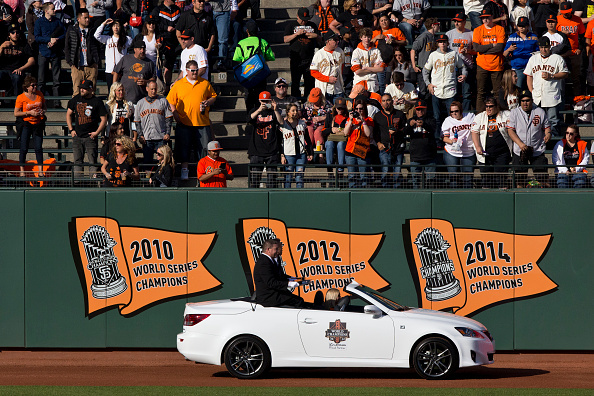 San Francisco Giants: Nothing (it’s already going to be an even year). Seattle Mariners: To hit the gym, lose weight, and quit smoking. Tampa Bay Rays: To change their name back to the Devil Rays because it’s way, way cooler. Texas Rangers: To order high-end hair products in bulk in case the Texas heat messes with Cole Hamels’ locks. Toronto Blue Jays: To hit lots and lots of homers and flip lots and lots of bats. Washington Nationals: To try and convince other teams that Jonathan Papelbon is actually a super nice guy.